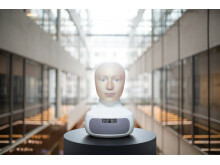 Stockholm 22nd Nov 2018: Social Robotics startup Furhat Robotics and TNG, specialists in unbiased recruitment, are today announcing a global partnership in which they will jointly develop the world's first unbiased recruiter robot. 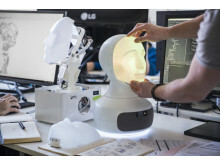 The vision behind the robot is to better analyze, understand and perform competency-based interviews and assessments eliminating unconscious bias - a very real issue in the recruitment world today. Following on from the recent launch of Furhat’s new social robotics platform, this partnership is designed to create a more objective and unbiased recruitment process, to contribute to research on social robots and to commercialize the robot in Sweden and internationally. Cognitive bias is a well known issue in the recruitment process and “Tengai”, as the robot will be called, will be used to assist recruiters in the early stages of recruitment, where questions are primarily skill and competency based. Research by TNG in 2018 shows that almost 73% of people believe they have been discriminated against while applying for a job based on their age, gender, ethnicity, disability, sexual preferences, appearance, weight or health. 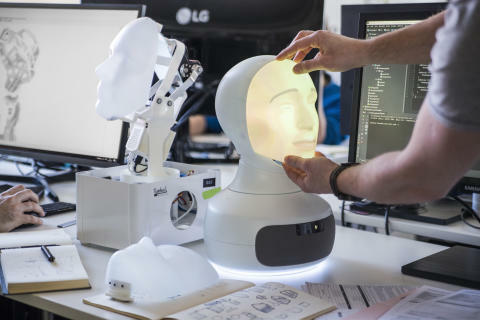 “At Furhat, we believe that social robots are the most natural, accessible and engaging user interface for humans. Part of bringing this vision to life is by working with world leading companies such as TNG. We’ve been very inspired by their vision of eradicating bias from the recruitment process, potentially giving people a better chance to have the right career, and for employers to find the right candidates. 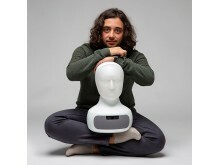 This project marks one of the earliest and most significant partnerships to develop commercial applications for Furhat, one that is extremely well suited to the unique impact that social robots can have on human interaction.” Said Samer Al Moubayed, CEO at Furhat Robotics. 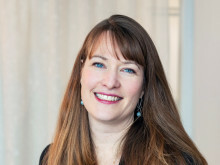 TNG: Charlotte Ulvros, Director of Marketing and Digital TNG, +46 709 82 84 75 or charlotte.ulvros@tng.se. Furhat Robotics: Varun Atrey, Marketing Manager Furhat Robotics, +46 767 034 839 or varun@furhatrobotics.com. Furhat Robotics is a Conversational AI and Social Robotics startup that is leading the development of the world’s most advanced social robotics platform. The vision of the company is to build a human-like computer interface that enables people to interact with machines in the same way that humans interact with each other. Based in Stockholm, Sweden and born out of a research project at KTH, Furhat has already won many scientific and innovation awards. The company currently works with over 70 international businesses and development agencies, spanning multiple industry sectors including recruitment, entertainment, transportation and finance. 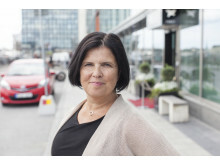 TNG Group AB is a Swedish recruitment and staffing consultancy agency, specialising in unbiased recruitment. The company's vision is to look beyond prejudices, and thereby contributing to a sustainable labour market. Their unique unbiased recruitment process assesses candidates future work potential and competence, not just past performance. Through anonymous application processes, tailormade occupational psychology tests to all jobseekers, talent quality score cards and a transparent candidate experience TNG challenges its clients to see beyond jobseekers name, age, gender and background when they recruit. It contributes to increased diversity, higher innovation and better bottom lines for the clients, and new career opportunities for job seekers. TNG works in the entire civil service area and also has recruitment specialists in TNG Tech, TNG IT Digital and the subsidiary Ada Digital. TNG services its 400 clients through its offices in Stockholm, Gothenburg, Malmö and Örebro and 40 other locations around Sweden.